Two former San Jose City Council members are pushing to rezone an area of land set aside for business development to build housing there. Their proposed ballot measure would allow for more than 900 new homes for seniors on a currently empty lot in East San Jose. Supporters of the Evergreen Senior Homes Initiative say it would provide some relief in the affordable housing crisis. Critics, including Mayor Sam Liccardo, say the plan would only enrich developers and would not provide affordable housing for the people who most need it. Former Vice Mayor Judy Chirco and former Councilwoman Pat Sausedo are backing the proposal. 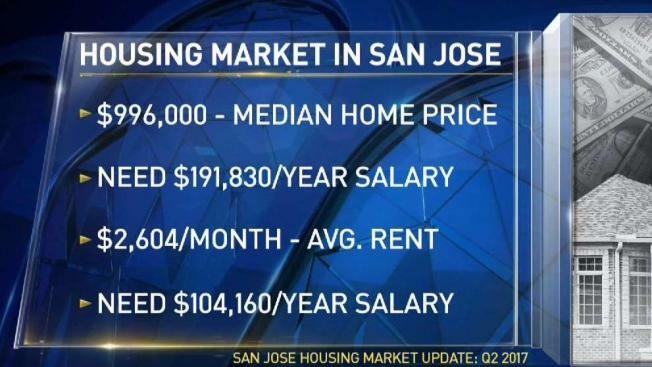 The median home price in San Jose is $996,000, and a family would need an annual income of $191,830 to afford a home at that price. The average monthly rent on a two-bedroom apartment is $2,604, which would require an annual income of $104,160. If the council approves the proposed ballot measure, it would go to voters next June.